Amid concerns over thousands of protestors descending on Chicago, Illinois for the G-8 Summit this spring, the event has been moved to the presidential compound at Camp David, Maryland, around an hour outside of Washington. Leaders from the United States, Russia, Canada, France, Germany, Italy, Japan, the UK and European Union were expected to arrive in Chicago this May for the annual meeting of the world’s largest economies. 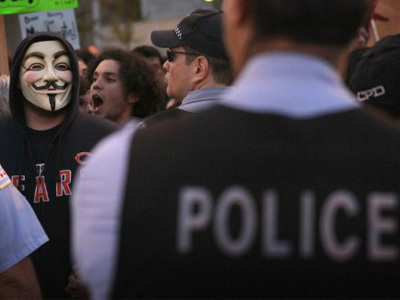 Protesters also had plans for the Windy City, however, and demonstration groups including Occupy Wall Street offshoots had begun orchestrating events to coincide with the meeting. Now barely two months before the event is slated to occur, the G-8 Summit is being moved outside of Chicago to Camp David, a suburban city outside of the US capital that serves as a historic retreat locale for America’s commander-in-chief. "In May, the United States looks forward to hosting the G-8 and NATO Summits. To facilitate a free-flowing discussion with our close G-8 partners, the president is inviting his fellow G-8 leaders to Camp David on May 18-19 for the G-8 Summit, which will address a broad range of economic, political and security issues,” reads a statement released Monday by the White House. After the G-8 Summit, the NATO meeting is expected to continue as planned in Chicago on May 20 through 21. 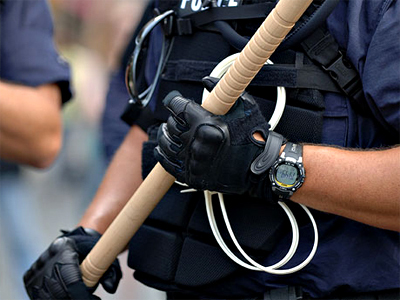 In the past, these high-profile meetings of the minds have attracted massive demonstrations, with the 2010 G-20 Summit in Toronto resulting in the largest mass arrest in the history of the entire country of Canada. In recent weeks, the Apartment Building Owners and Managers’ Association of Chicago began a series of presentations in which it explained how building managers could effectively handle riots, protests, tear gas and bomb threats. 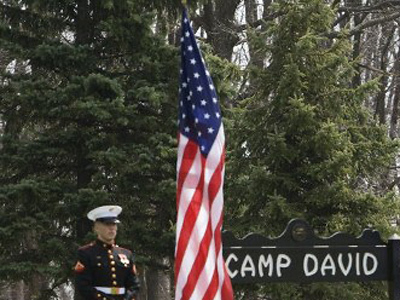 Camp David has served as a retreat for every president since Franklin Roosevelt went into office in the 1940s and has hosted foreign dignitaries such as Winston Churchill, Margaret Thatcher and Anwar al-Sadat. Come this spring, however, it will serve as a meeting place for more than just a few heads of state. Obama, Cameron, Merkel and Sarkozy are just a few of the names that are expected on this year’s guest list — and don’t expect there to be many more. Camp David is normally subjected to heightened security standards, and this spring’s G8 Summit won’t come as any exception. 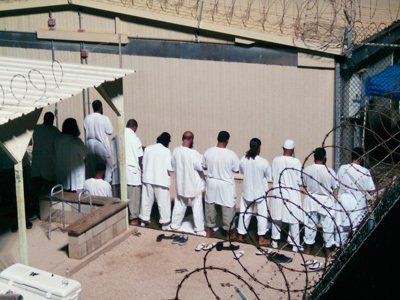 For protesters hoping to picket outside the grounds — a mass demonstration would be unlikely. Coincidently, a new bill drafted by Congress, HR 347, will make it a federal offense to trespass on the grounds of any place granted Secret Service. If approved, the NATO Summit in Chicago will fall into this jurisdiction, as will the presidential retreat at Camp David. What does that mean for protesters? 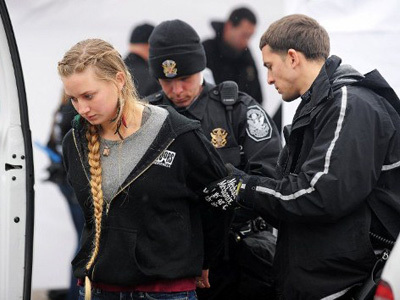 Even if you’re in the proximity of the premises, you could be considered a criminal for engaging in any activity that disrupts a governmental event.